Hello! Thank you for stopping by and taking a moment to read about my my journey. I am proud to be a returning participant to the Bum Run and even more proud to be again captain of the Kicking the Crap Crew version 4.0 this year. And importantly, this March marks the 3 year anniversary of my survival with advanced colon cancer. So I run with family and friends again this year to raise both funds and awareness to this brutally awful and potentially deadly disease. I love to recount my journey to anyone who asks with the goal to educate that there are early detection tests and screening that go a long way to preventing colon cancer. In fact, colon cancer is 90% curable if caught early. 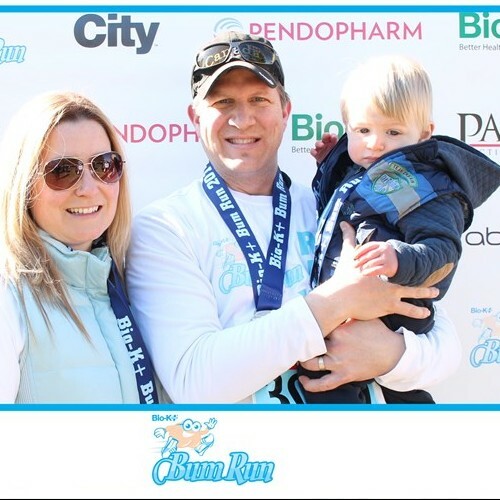 When selecting your choice of charity please choose St. Joseph's Health Centre Foundation and please accept my humble thanks for extending your support to me, to another member of the KTCC 4.0 or anyone else participating in the Bum Run 2015! Every bit of support helps us win the battle.